the 13 moons we've all been waiting for! 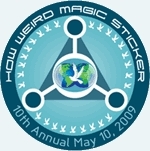 The MAGIC STICKER is your way to support the How Weird Street Faire and keep it going. And our way to give something back. The faire has become very expensive to produce and relies on you to make it happen. At $10, the faire is an incredible deal. And you could end up saving many times that amount through discounts and specials. 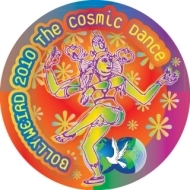 Get the Magic Sticker at the How Weird Street Faire entrances.